← Did you know … the EJ Brady Competition accepts YA fiction? This week I’m hosting my very own Doctor Who Literary Week. I’ve had over 40 books published as well as lots of short stories and articles. 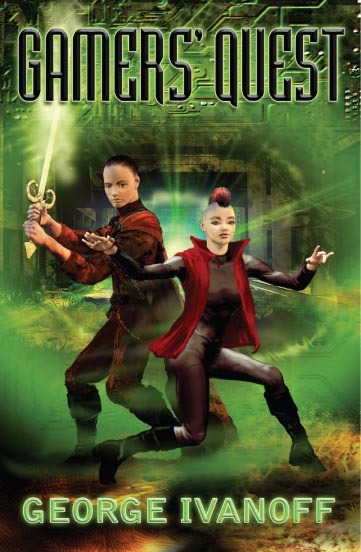 My latest novel, Gamers’ Quest, is currently in bookstores. These days, writing is actually my career. But I don’t give up that easily. When Big Finish announced a short story competition, the winner to be published in the next anthology, I decided to submit an entry. Then I read the rules … the competition was only open to amateur, unpublished writers. Did I let that stop me? No! I wrote a story anyway, and emailed it off with a cover letter asking them to treat it as an unsolicited professional submission rather than a competition entry. Success! Editor Ian Farrington emailed to say that he liked the story … but that they couldn’t use it, as they only needed one story on the competition’s theme … but he asked if I’d like to write a new story. Would I? You bet! So I got a brief asking me to write a 2,000-ish word story dealing with destiny or chance. The story had to be complete in its own right, but had to also give the impression of being part of something larger. The result was ‘Machine Time’. I’m very proud of it! It’s my little fan-boy moment. 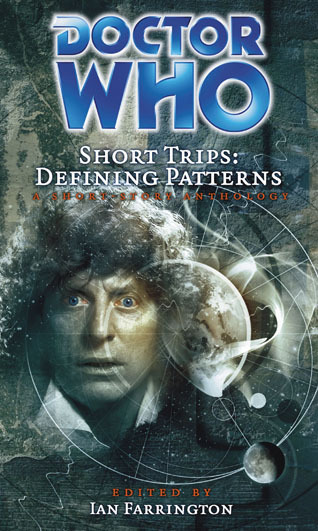 Unfortunately it’s my only fan-boy moment, as shortly after, Big Finish ceased publication of its Short Trips anthologies. But I have my eagle-eyes trolling the Internet for any other Doctor Who opportunities that may come along in the future. You never know … I may one day get a second fan-boy moment! George Ivanoff is a Melbourne based author, stay-at-home-dad and nerdy Doctor Who fan. Two of his books (Life, Death and Detention and Real Si-Fi) have been on the Victorian Premier’s Reading Challenge booklist since its inception in 2005. George’s latest book, a science fiction adventure for young teens called Gamers’ Quest, includes a small Doctor Who reference within its pages. George hopes to pepper more of his writings with Doctor Who references in the future. Click here to check out George’s website. And click here to check out the official Gamers’ Quest website. Here’s Short Trips: Defining Patterns on amazon. And here’s the online catalogue for Big Finish Productions’ current book list. What huge fun – and loads of hard work as well.